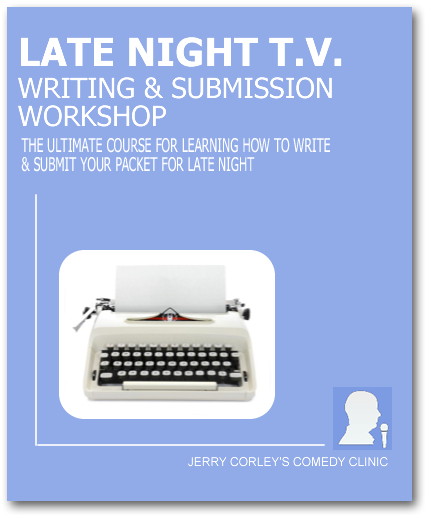 Get Ready for the ONLY course on Writing for Late Night TV where you will produce a show AND write a complete submission packet! Plus: The Secrets To Getting Your Writing Packet Properly Submitted! 48-hour V.I.P. Sale. Save $100! 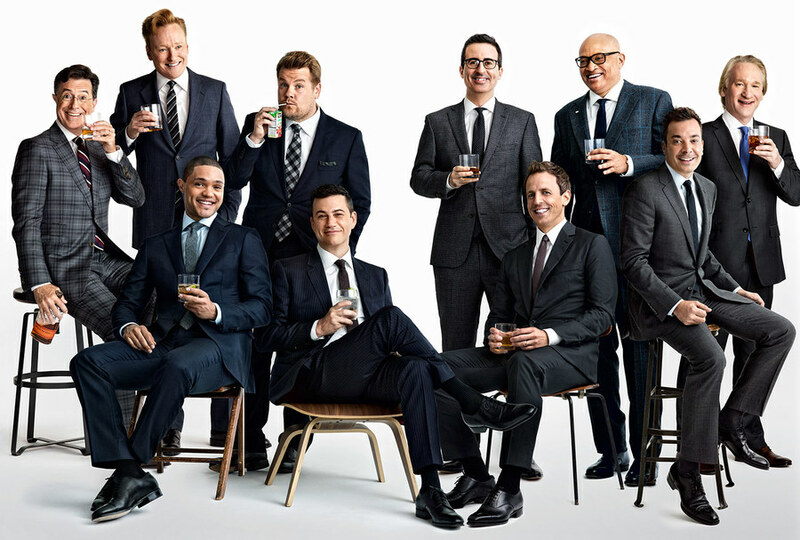 FACT: The Late Night T.V. World is Exploding! The demand for comedy writers is higher than ever before! More shows = More demand for content! 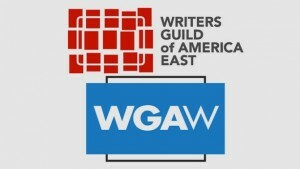 According to the Writer's Guild of America's Basic Agreement, a Late Night Writer earns $4,198 per week. That's a minimum salary! 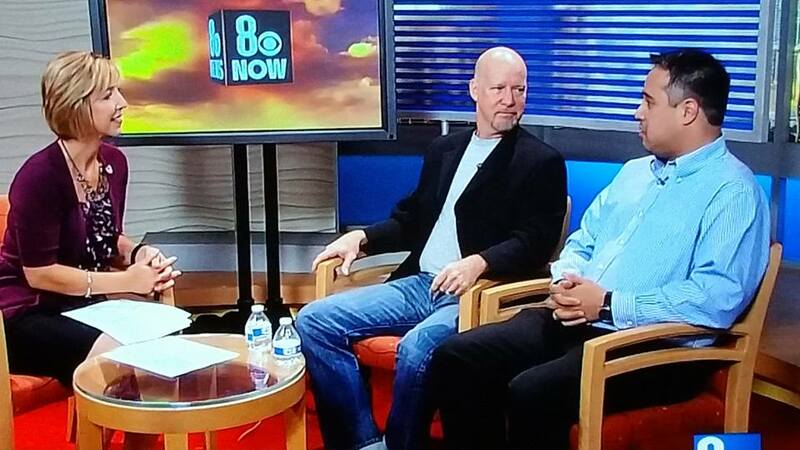 Write a 2-minute sketch that makes it to air and you can earn another $4,000. 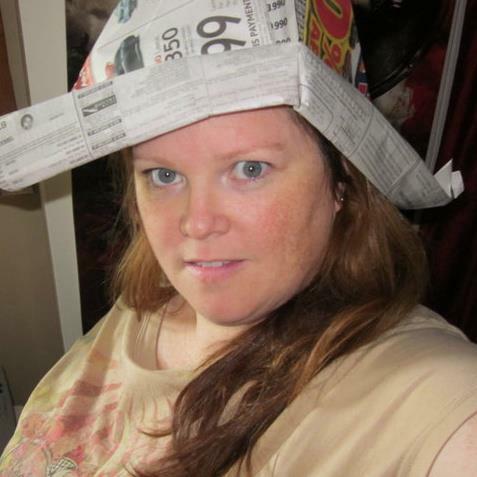 Write a song parody and there's also ASCAP fees that are paid to the writer. So the pay as a first year staff writer is exceptional! CHECK THIS OUT! The average college graduate earns $45,478, right out of college. The average entry-level Late Night Writer earns 400%-500% more! "Can You Really Teach This Stuff?" This question was posed on "CBS 8 Now" Morning Show and the answer is an unequivocal YES! You will learn the powerful mechanics and the vast array of structures that make learning this craft totally feasible. Inside, you'll receive 10 video modules, organized to help you develop the skill-sets to write Late Night Show Comedy confidently and at your own pace. You'll be writing current event jokes right away! So here's the deal: Considering the new updates and the fact that there's nothing else like it online, my product development consultant suggested I set the price point for the course at about $1000! ($997 actually). So instead, I'm pre-releasing it to loyal subscribers at the super sales price of $497 or 6 payments of $99. But as a V.I.P. you can save $100 right now! You Might Be Saying, "What Do You Mean No Resume and No Experience?" It's very true. Writing comedy for Late Night T.V. is still one of the only jobs you can get in this business without experience or a resume. 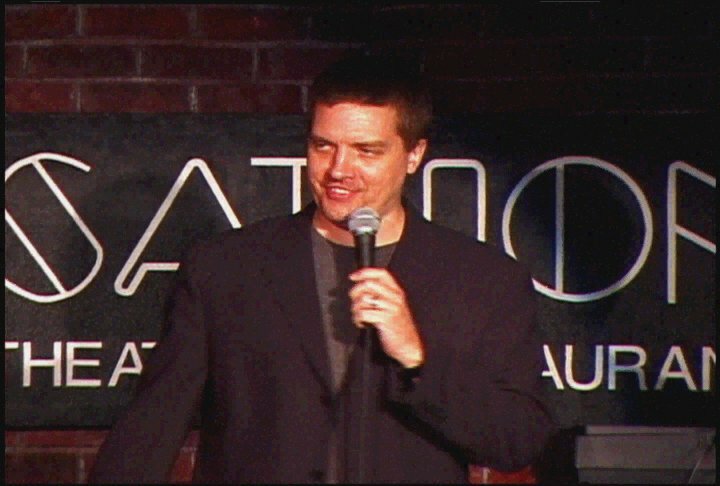 You just need to show that you can write solid, laugh-out-loud Late Night comedy material on a consistent basis. That's how I got my job in Late Night and that's how several writers have done that same thing. The one thing I love about any business especially this one is that the writers who stay consistent are the ones who thrive. And with any business only 2% of the masses actually applies themselves! Here's the secret: Studies show that most comedy writers don't apply themselves consistently because they simply lack an automated process. 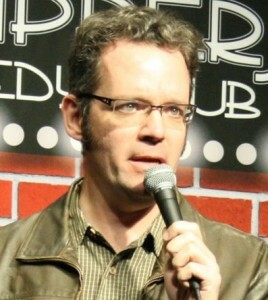 So instead of sitting there head-scratching, searching the ethereal for something funny, learn a process where you can sit down and generate consistent comedy material by following a few simple steps each and every day that can lead to volumes of solid jokes. So you can crush the competition! You'll learn those exact steps in this course! Develop Your Skill Entirely Online! Buy It Now Before The Price More Than Doubles! 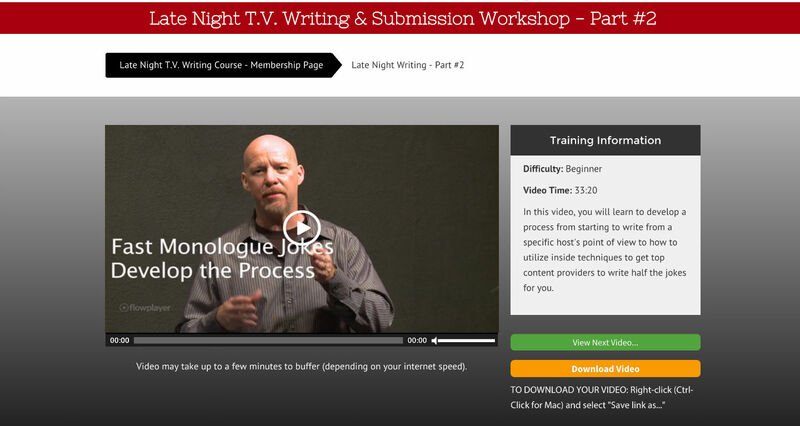 This Course Is A Must For: Anyone Who Wants To Learn The 'Inside Secrets' On How To Write For Late Night Television. 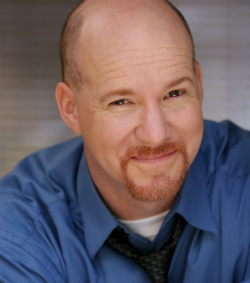 Tonight Show writer, Jerry Corley, will show you how to write for Late Night T.V. using the exact techniques he used to write powerful attention-getting sketches and 80-120 monologue jokes a day! Sit back and reap the benefits of having Jerry give you step-by-step templates you can use to repeatedly write volumes of jokes on any subject or headline. Just like they do in staff rooms on late night shows. Learn the 3 elements needed in every sketch and how the pros come up with the concepts to write sketches while learning exactly what makes a good sketch work… and what makes them funny! Ever wonder how a package needs to be formatted? For ANY show? How it should look? What they are looking for? You will learn exactly that and you will receive a real sample packet, so that you can duplicate it and submit with confidence! One of the biggest problems Late Night Writers face is burn out. Producing the content on a daily basis can be grueling. The solution is to have a process. Discover this simple but highly effective process to produce multiple jokes on a daily basis. If you were to start learning this on your own, it would take you years… and that’s if you don’t give up. Discover the very techniques that will get you writing volumes of Late Night jokes in a much shorter period of time. Not all hosts do all jokes. Learn the importance of writing for the voice of your selected host so the head writer knows YOU’RE the one to best represent the show’s host. 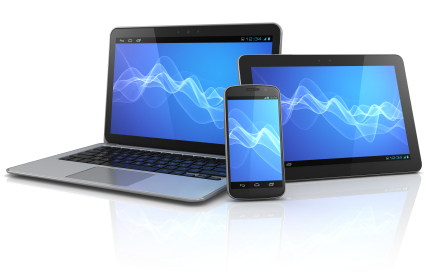 Now Available Instantly on All Your Devices! Learn to connect with the right people to get the specific parameters of what to include in your packet for submission to a particular show! Check Out What Others Are Saying About This Course! In four hours, Jerry's workshop demystified the whole process for writing & submitting a late-night packet... I wouldn't have made it into the quarterfinals (top 6% of all applicants) in last year's NBC Late-Night Writers Outreach without this workshop. Jerry's methods really work. In Late Night TV Writing &amp; Submission workshop is great. In one afternoon, he gives tools, tips and tricks to not only fight writer's block but craft sketches and monologue jokes like a pro. The only difficulty I had was choosing which jokes/sketches to submit. Jerry, you really outdid yourself with this course! The video lessons are so on the money! 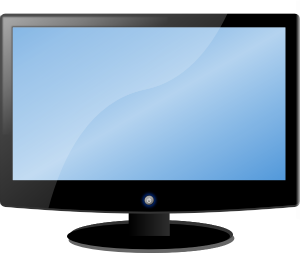 Start Pursuing a Career Writing for Late Night T.V. Now! Need a Payment Option? $99.25 for 4 months. Click here.